All the schools we support are in impoverished rural areas. Large numbers of children have only a single or, in some cases, no surviving parent. If you are able to provide money for a scholarship then it allows a school to offer a place to a bright child who has completed primary schooling but does not have the means to pay for secondary education. Now Isaac Newton High School at Katera and Mustard Seed School have good hostels we are offering full boarding scholarships of £300 a year or half scholarships for £150. These are awarded to very needy students, such as double orphans without a safe home near the school. The £300 covers the entire costs of a year at the school, including tuition fees, boarding, food, uniform, exam entry fees and stationery. In order to ensure continuity of funding through their secondary education many of our donors pledge ongoing support for a student by setting up a standing order or giving enough to cover 4 or more years schooling upfront. Every scholarship we award always goes to a named child and donors are sent information about the child and a photograph soon after they begin the school year in February. We do our best to provide an update on their progress each year. New students are enrolled in February each year and so scholarships given later in the year are usually saved until the following academic year. The school Directors are responsible for allocating the studentships, and their practice is to advertise their availability on local radio and directly to local primary schools. The number of scholarships provided by supporters has been increasing steadily year by year. In 2018 we awarded a total of 143 scholarships. 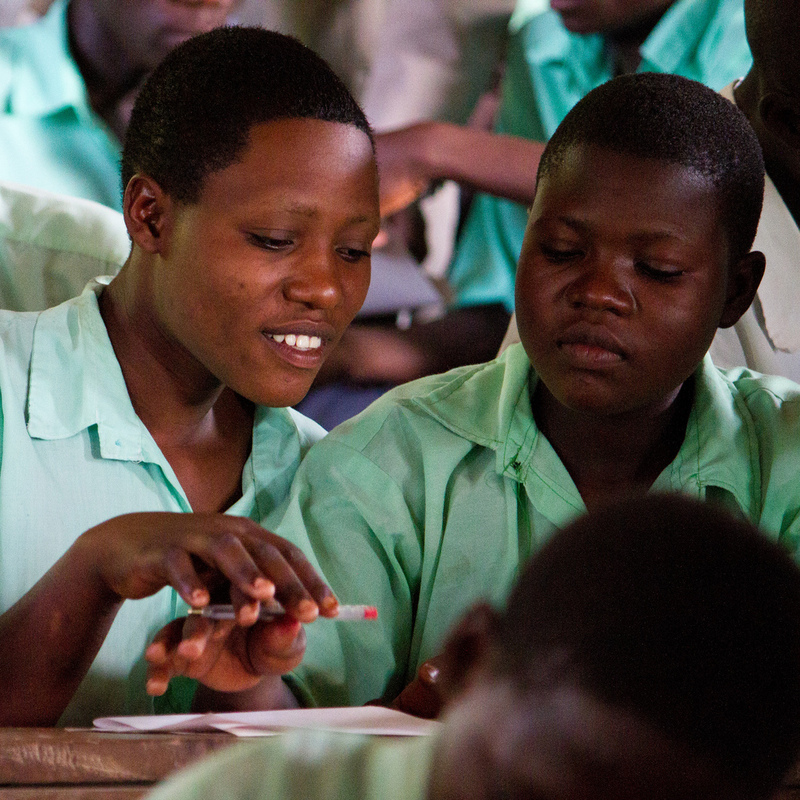 Each year we allocate 2 additional scholarship to the two best students leaving Kasese Humanist Primary School. In order to avoid any hint of jealousy among the students, the schools do not encourage direct contact between students and donors. All the students do, however, know that the school is supported by UHST.